More accurate estimates ultimately lead to a higher project success rate. If your estimate is too high, you may quote too high and lose the bid. On the other hand, if you lowball your estimate you will end up losing money. Keeps all job budgets in line and on track. By entering in your estimates, you can benefit from the reports for job costing in QuickBooks. This way you can know when to adjust your budget to increase your profit and minimize over-spending. It’s necessary for progress invoicing. If you’re completing a project for which you are seeking payment at certain intervals, you will need to utilize progress billing. 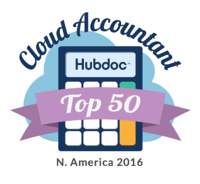 This can be completed quickly and easily through QuickBooks if you keep up with job costing. Overall, regardless of your industry or job billing practices, using job costing in QuickBooks is a great habit to pick up.